Two Years in Myrtle Beach – Two years ago on this date, I rolled into Myrtle Beach to start a new stage in my life. I have loved my time here and have enjoyed many blessings, the biggest one of course meeting my soon-to-be-wife. Myrtle Beach is a great place with countless ice cream shops and fabulous weather so it goes without saying that I get along just fine down here. I do miss my family but technology helps to fill that void and having my new family (Sidney’s family) makes things easier as well. The Chanticleer Final Issue – I always say that the best recognition I can receive doing my job is recognition that comes from the students. Our student newspaper, The Chanticleer, released its final issue of the academic year yesterday. It was pretty cool that the editor gave me a shout out but I got really excited when I saw my life motto used in the “Top 5” feature. It was the best issue ever…well maybe except for this one. Student recognition is the best recognition. New M&M Flavor – I always include new candy I see at the checkout aisle on my Thursday Rundown posts. This past Sunday I saw new Chili Nut M&M’s. To be honest, I am not 100% certain what a chili nut is, but I am guessing it is just a spicy peanut. Now I love original peanut M&M’s and I also love spicy peanuts but I don’t know if I am digging a chili nut flavor of M&M’s. To me, spice just doesn’t go well with chocolate. However, I will try a pack eventually. 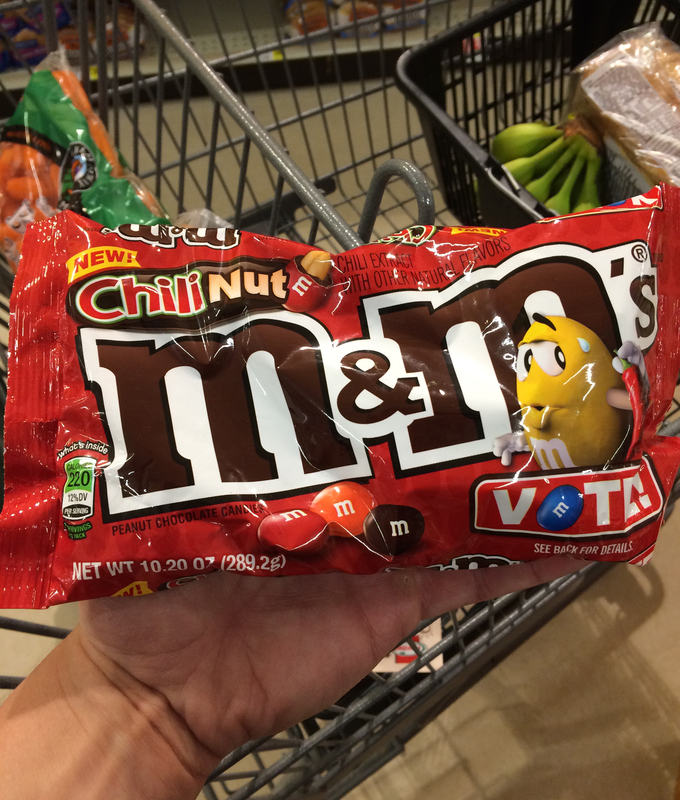 I held a bag of the new Chili Nut M&M’s on Sunday night. NBA Playoffs – Last weekend I finally started to watch the NBA Playoffs. On Friday night I watched the Cleveland vs. Detroit game. On Saturday, I sat down with my future father-in-law and watched a doubleheader…Charlotte vs. Miami and Dallas vs. Oklahoma City. Heck, we event started to watch the late night game (Los Angeles Clippers vs. Portland). On Sunday we watched as Steph Curry re-injured himself in Golden State’s win over Houston. I would love to see the Golden State Warriors vs. Charlotte Hornets in the NBA Finals. Although the injuries have tarnished the playoffs thus far, I still enjoy watching the postseason just because of the storylines that develop and the increased effort that is exerted. 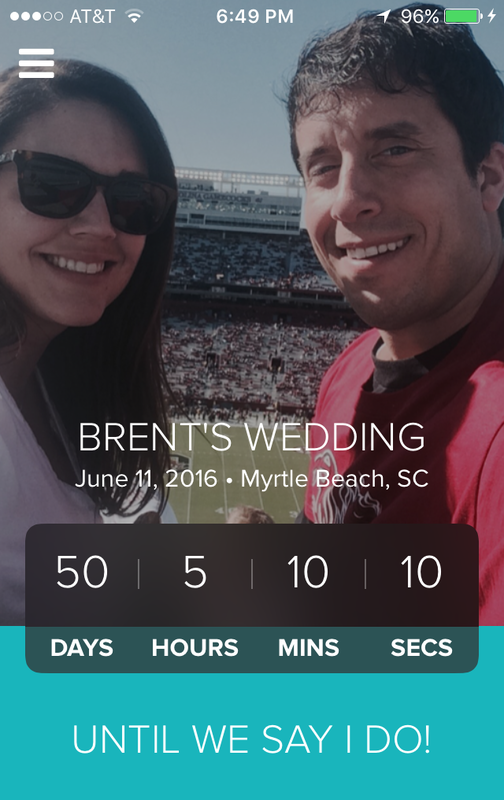 Wedding Update #29 – We are just 44 days away from the big date. Sidney’s bridal shower invites went out in the mail this week. Items are disappearing from our registry. My mom bought her dress. It is all very exciting and hopefully other big developments will transpire between now and when I give my big Wedding Update #30 next week. Thank you for taking the time to read my blog. I send my best wishes for a great weekend. Now, if you will excuse me, I got to get in front of a TV so I can see who is picked #1 in the 2016 NFL Draft. Don’t Blink. College graduation season is upon us. 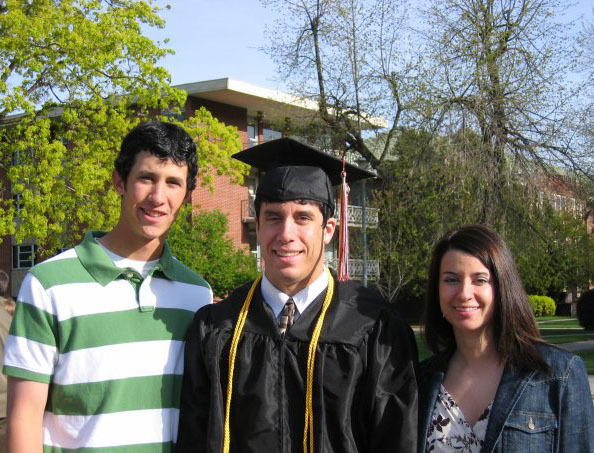 Next weekend, eligible students here at Coastal Carolina University will participate in commencement exercises as will countless other students from universities across the nation. Then, for the next several weekends that follow, scores of additional higher learning institutions will also hold graduation ceremonies. ‘Tis the season. I graduated from college seven years ago. Sometimes it seems like it was just yesterday, sometimes it feels like it has been much longer. One thing is for sure though, since 2009 I have sat through many commencement addresses while working for two different universities. The speakers I have listened to have all had polished, logical messages to deliver to the students. I graduated from college in 2009. While I am a couple degrees and many accomplishments short of ever giving a commencement address, I do have an idea of what I would say. Of course it would be much less elegant and much more brief than what the big wigs bring to the podium but hopefully my words would resonate with the young people sitting in front of me. I would tell all the students who have not found jobs or won’t find one for the next year to not freak out. Sometimes finding that first opportunity takes a little time. Sooner or later, however, someone will call your name and put your skills to use. From that point on, you will be working for the better part of the rest of your life. While the days of post-graduation unemployment might seem long and depressing, stick in there! It won’t be forever. To the students who have jobs secured and to the unemployed students who will be working soon enough, I would tell them to enjoy the start of their careers. It is fun to be a young professional. Enjoy learning the culture of the American workplace and discovering what it means to be a functioning member of society. No matter how small (or big) your starting salary is, savor that first paycheck and take time to tell yourself that you have made it. I would stress to all graduating students the importance of building a personal brand. I would communicate that building a solid online profile will only help in future career moves. By all means, take the first couple of years to get acquainted with your position and with the professional environment in general. But know that each day you can improve yourself for your next journey just by staying current and engaged electronically. Embrace your digital footprint and do whatever you can to make it attractive whether it be starting a blog, maintaining strong social media accounts, or doing outstanding work that will get you recognized by media outlets and industry organizations with strong online presences. Lastly, I would look at my audience of students and let them know that they have hit it big. Although the job market still isn’t the best and the economy is still struggling, I would tell everyone wearing a cap and gown to put it all in perspective. When it comes down to it, they are part of a very select group. Not only do they have the privilege of living in America but they also now hold a college degree. Billions of people on this planet wish they could only be so fortunate. With this understanding, I would tell the students that they can never legitimately consider themselves failures but at the same time they should strive to do whatever they can do maximize their potential. To those who much is given, much is expected. I would then probably say “Don’t Blink” and walk off the stage. I wish nothing but the best to the 2016 college graduates. May your futures be bright. Don’t Blink. Lately I have spent a lot of time on customer service calls. As I cancel different amenities in preparation for Sidney and I establishing our own joint accounts together, I have talked with agents from cable, appliance, insurance, energy, and other companies. The process is never that enjoyable. You call up the customer service center of the company, listen to a long automated recording, type in a bunch of numbers, wait on hold forever while listening to repetitive music, and then listen to the automated voice cut in and out to tell you that all representatives are busy. Finally, you are connected with someone. This customer service agent will have you repeat all the information you gave while dealing with the automated recording and then afterwards he/she will plead with you to take a satisfaction survey. However, in between the hustle for information and the request to spend even more time on the phone, in my experience, it has been a very productive and professional conversation. Over the past month or so, I have had really great customer service from agents representing companies such as Time Warner, Appliance Warehouse, and Santee Cooper. Any frustration I had from a long hold time or overall dissatisfaction from the company’s service/product went away when I talked to the customer service representative. These people are pleasant, knowledgeable, empathetic, and relatable. Basically, they are impeccably trained. I applaud these major companies for instituting a strong central customer service center with highly capable individuals. I mean let’s face it, you can’t place just anyone in a chair and have him answer telephone calls. So, with all this said, there is one thing I have noticed when being on these calls. Believe it or not, the person we talk to on the other end of the line is surrounded by a whole bunch of co-workers who are also on the phone with people like you and I. This makes it so a customer can also hear one side of another agent-customer conversation. In almost all instances, I could hear background conversations. Most of the time, I could hear the agent on the defensive. How did I know that the employee was in fact dealing with an angry customer? Well, it doesn’t take a rocket scientist to know that phrases such as “Sir, I sincerely apologize that you are so unhappy” and “Ma’am, could you please calm down?” signify displeasure. Also, truth be told, in the past I haven’t always been a perfect angel calling up the customer service line either. I regret a couple instances when I was short and impatient when airing out issues regarding my spotty internet connection or lack of newspaper delivery service. Basically, what I am interested in knowing is this: Are any of my readers out there customer service professionals at call centers? I would really like some information on whether you like your job or not. From the outside looking in it looks like it might be tough taking calls all the day and putting up with angry customers. Is my sentiment right? Or perhaps is it a little more rewarding than what I might think? I thank people in these positions for the great work they do. I also apologize to the ones I wasn’t especially cheerful with. If you don’t mind, I would like to know a little bit more about your profession. Don’t Blink. I always find myself slightly amazed at how our mind and body work together to manage time. In my opinion, our internal clocks work much better than any watch or digital alarm. Even though I set three different alarms on my phone each night, I really don’t need to. I just take those measures because I am a tad paranoid. You see, it doesn’t matter if it is a Tuesday or Sunday, my body will wake me up at 5:10 a.m. (although on Sundays I will choose to go right back to sleep). But if I wanted to adjust my internal clock 20 minutes one way or the other I could. I am able to simply tell myself the night before that I want to get up at 5:30 a.m. and just like “clockwork” it happens. The way our bodies and minds manage time goes way beyond dictating when we get up. For example, I know exactly how long it will take me to complete my workout routines. I follow the same regimen on Monday, Wednesday, and Friday. I have a different routine on Tuesday and Thursday. On the MWF days, it takes me 75 minutes to complete my exercise; on Tuesday and Thursday it takes me 67 minutes. I lift weights, run on the track, and do body-resistance exercises so I have no timers set for me. I just naturally go through my workout and depending on what day it is I finish at the exact same time. With so many factors at the gym that could play into varying the time of each workout, it never does for me. I don’t look at the clock at all until I complete my exercise but I always manage to finish at the same time. I am also able to pinpoint with great accuracy how long it will take me to do a random set of tasks. For example, if Sidney asked me what time I planned to go over to her house on a Tuesday evening as I was driving home from work, my mind immediately goes to work. It adds up the drive to my apartment, how long it will take me to eat dinner, my shower time, my blogging activities, the drive to Sidney’s house, etc. It then spits out an arrival time that is usually spot on. So for example, if I am talking to Sidney at 5:15 p.m. I can add up the numbers and tell her with great confidence that I will be walking through her door at 7:45 p.m.
One thing I am HORRENDOUS at doing is estimating lengths and distances. Don’t ask me how many feet tall a tree is or how far it is around the block. I am clueless. However, ask me how much time has elapsed and I can give you a respectable estimate. As I never bring my phone inside church, I obviously can’t check the time during mass. This allows me to play a little game with myself on how long the service was. I usually guess within two or three minutes of the actual time (i.e. If the mass was at 10 a.m. I would formulate a guess on what time it was right before I turned on my car and saw the clock. If I projected that the mass lasted an hour and 15 minutes, the clock would most likely read 11:15 a.m. or perhaps 11:14 a.m. or 11:16 a.m.). I can also accurately project the elapse of time for longer events as well, rather it be an athletic contest or a morning hike. We are all wired to keep time to some degree. Some of us have a little more precision than others but we all have a clock ticking in our heads. Make sure to trust it. Don’t Blink. Two years ago on this date, my dad and I set off on a trip across the country. I was moving from the west to the east as I had accepted a job at Coastal Carolina University and would now be living in Myrtle Beach. The trek across the nation was an incredible experience, one that I made sure to document well. Two years ago, my dad and I started our journey across the nation. On the evening of April 24, we rolled into Spearfish, South Dakota. When I hear of other people making the same type of journey, I get a little excited for them. While feelings of anxiety and fear are only natural when traveling thousands of miles to a new beginning, my hope is that those concerns won’t overwhelm them. Rather, I hope they focus much more on the feelings of happiness and optimism that are also associated with such a significant event. 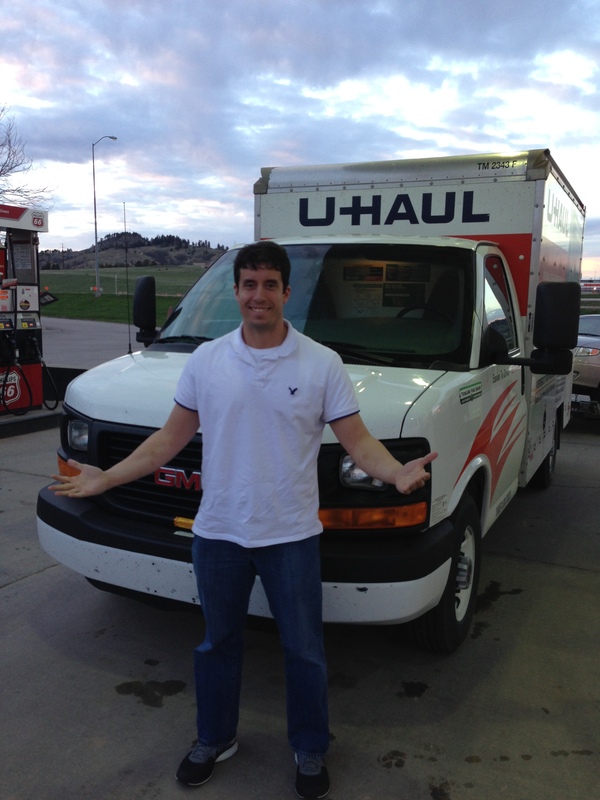 In order to limit some of the stress of a cross country move and thus optimize the positive feelings I just explained, I want to offer my best five tips (in no particular order) for managing such a trip. Set Goals: It is important to set a minimum destination point for each day on your trip. When my dad and I embarked on our trek, we either set a targeted city or a targeted state to reach before calling it a day. Not only will this organize your daily travel and keep you on track, it is just something that will also keep you hungry throughout the day. When you can put a destination point in your GPS at the start of the day and follow it on mileage signs, it gives you purpose and motivation. Some people will opt to simply drive a long time and see where they end up at the end of the day but I recommend trying to be a little more organized than that. Start Early in the Morning: Begin each travel day as early as possible. Two years ago, my dad and I departed the hotel early enough each morning so we could arrive at the next one with a full evening to relax and enjoy our surroundings. It was nice to arrive in a town before 5 p.m., hang out in the hotel, find a place to eat, and then watch some TV. before going to bed. If you start late, you end late. Just from a safety standpoint, you don’t want to find yourself driving in the dark. From a psychological standpoint, it will be taxing on your mind/body if you roll into town at 10 p.m. only to go right to sleep and then wake up later the next morning with the sense of urgency to get right back into the U-Haul. Embrace the open road during the early morning hours. There is nothing more peaceful than passing through beautiful country at 7 a.m. Document the Experience: More likely than not, you won’t go on too many cross country driving trips in your life. Make sure you never forget about your adventure by doing all you can to document it. Take plenty of photos, save receipts, and jot down notes. My dad kept track of our mileage and stops each day. This information helped me write my daily blog posts from the road. Keeping tabs on your travels via social media will also help to paint a comprehensive portrait of your trip. Two years later, because of our thorough documentation, I can go back and feel almost like I am back in that U-Haul truck with my dad in the middle of nowhere. 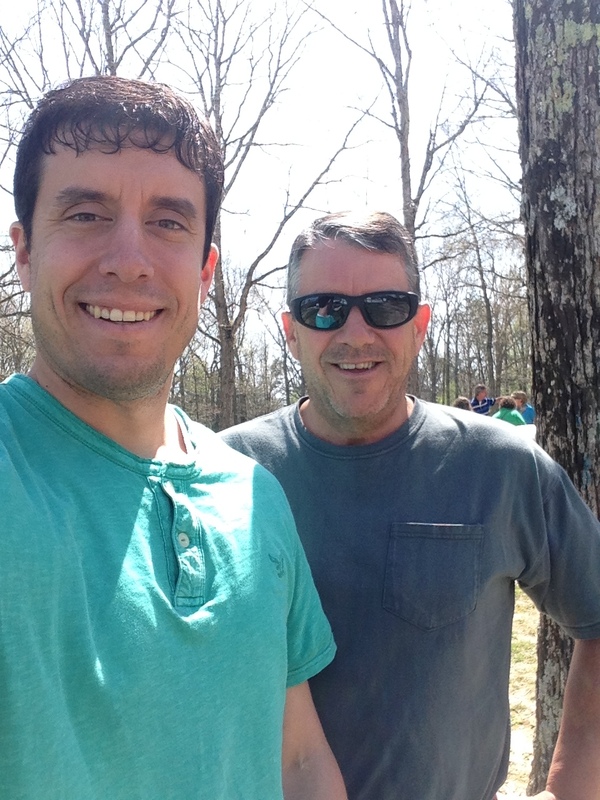 My dad and I at a rest stop in Tennessee. I recommend documenting every possible detail. Take in the Culture: When driving two or three thousand miles, you can bet that you will drive by and pass through countless communities, cities, and towns. You owe it to yourself to enjoy a small slice of culture from each stop. It goes without saying that you should pass on the Taco Bell. Instead, eat at a local establishment or enjoy a cold beer at a neighborhood dive. Engage locals in conversation and take each moment in as you realize that there is a good possibility you might never set foot in that area again. One way my dad and I experienced the attitude of each town we passed through was by listening to the local sports radio station. It was a great way to sense the attitude of the community while enjoying a pastime (sports) that we both love. Safety First: Know there are risks with making such a long trip but know that as long as you put yourself in a safe position, you will be fine. 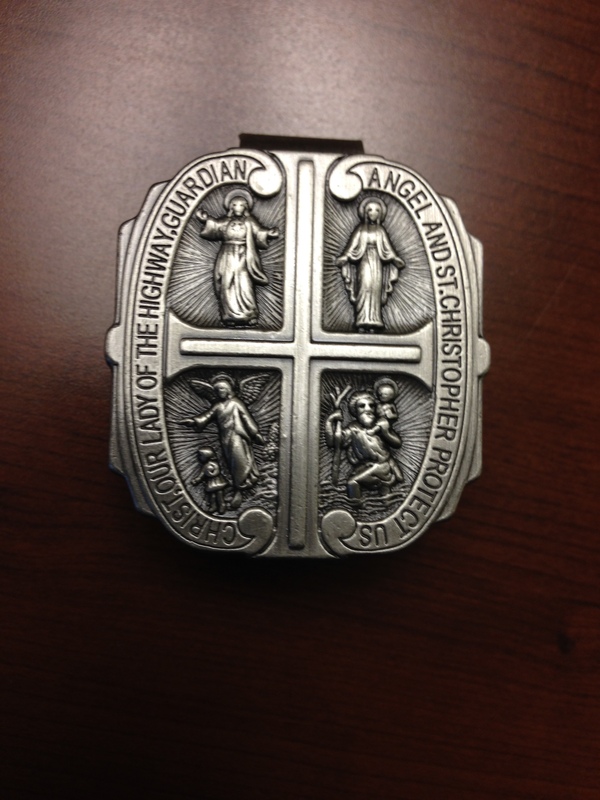 My mom gave my dad and I a medal with Our Lady of the Highway and St. Christopher on it so we were good from the start. However, we still made sure to never let our gas tank get too low, we inspected the U-Haul each morning, and we even stopped by one of the U-Haul outlets about halfway through the trip so they could re-tighten the car trailer to the truck. This is the medal my mom gave my dad and I to keep us safe. If you are setting out soon for a point in a different part of the country, I wish you well. Feel free to reach out to me for more specific tips and advice. Again, remember to look forward to the adventure as opposed to dreading it. Don’t Blink. Where the heck is April going? Are we really already three weeks in? Are we really less than ten days away from May? Oh my. Let’s not waste anymore time and get right to the Thursday Rundown. Banner Week for My Blog – Two big reasons contributed to this week earning a spot in the top three busiest weeks ever for Don’t Blink. First, Barry Anderson retired. Who is Barry Anderson? He is better known as the mascot named Benny the Bull. Before that, he was Monte at the University of Montana. I worked with him multiple times and wrote this blog post about him. When his retirement was announced this past weekend, it resulted in thousands of Chicago Bulls fans visiting my site. Good luck in the next stage of your life, Barry (and thanks for the traffic). The second reason for an influx of traffic was my “The Truth About a Bar Rescue Experience” post from Sunday. It just so happened that a major paraody Facebook page, Server Memes, decided to share it. I have no idea how they found it but I will take it! It was a great week for Don’t Blink. Our New Show – Sidney and I have found our newest show! You can watch a program on Netflix called “Love.” The series tells the story of two people in their early thirties who have different careers and very different lives. However, they meet by chance and start to fall for each other. The show is hilarious and I really like the male lead. He is a nerdy/awkward type and has me constantly laughing. Check it out. Purchase – Sidney and I made our first big purchase as a soon-to-be married couple. 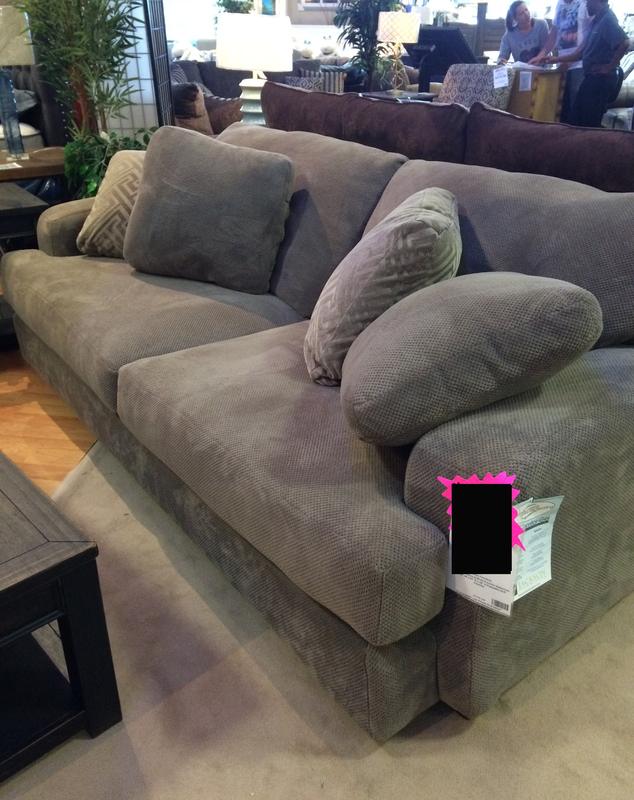 Last Thursday we bought a couch! After work, Sid called me and had me stop by America’s Furniture Warehouse. She was looking at furniture and wanted me to give her opinion on a few couches. We never intended to buy that day but there was one couch I sat down in and didn’t get up from it until I told the salesman we would take it. The couch itself is reason enough to get excited about moving in with Sid! Say hello to our new couch. 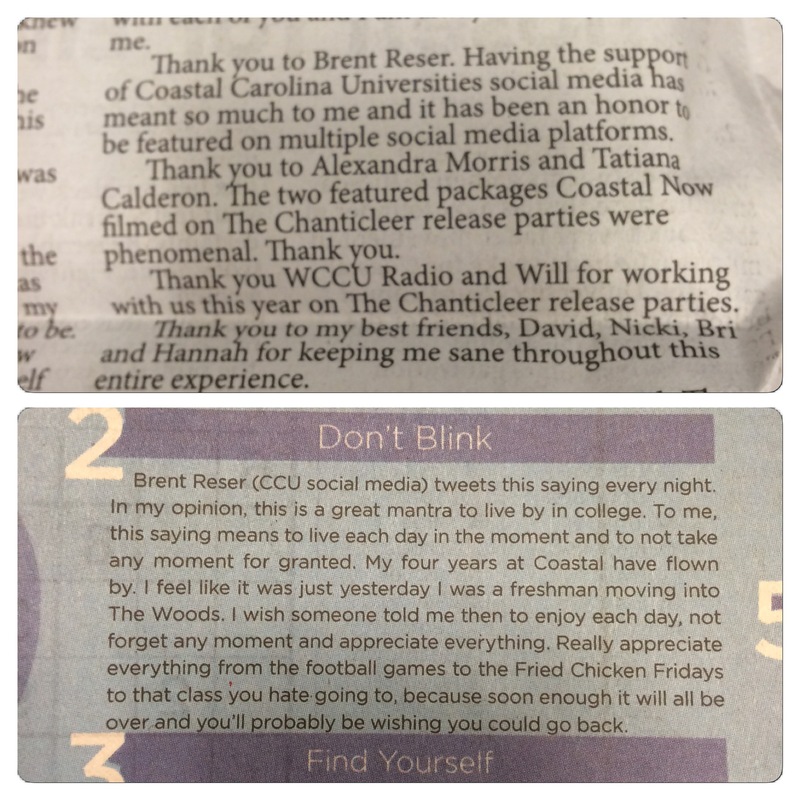 More Speaking – This morning I spoke to a commerical recreation class about social media here at Coastal Carolina. Professors are adding social media principles to the curriculum more and more as I have spoken in several different classrooms this semester. I enjoy the opportunities because I get to engage with college students and also talk about what I do. Thankfully it also allows me to improve my public speaking skills. I am not a natural speaker but I feel I am getting better. Wedding Update #28 – Sidney keeps telling people that the major responsibilities are taken care of. Now it is just handling the smaller things that will come up over these final 50 days. This past weekend, Sid’s mom finalized the reception dinner menu. Relatives of the bride are also now in the process of planning Sidney’s bridal shower. Little or big, each new development is exciting as we inch closer to the date. We are 50 days away from the big date! Enjoy your last full weekend of April. Sidney is scheduled to be with you on Sunday so please be nice to her as she once again takes over my blog. The pressure is on her to leadoff a week that will be as successful as this one. Don’t Blink. I like animals well enough, but it isn’t like I grew up wanting to be a veterinarian or zoo keeper. From what I can remember after over 1,000 posts for this blog, I have rarely written about animals, except for that one time I wrote a tribute to our late family cat. Because of this lack of representation for the creatures of this earth, I thought I would write a little bit about members of the animal kingdom today. 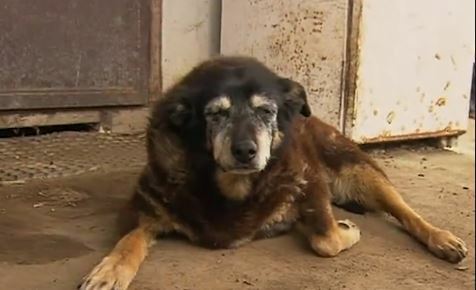 Dog – I read today that the world’s oldest dog recently passed away at 30 years old. The article noted that his three decades on the planet would make him over 200 in human years. I choose cats over dogs, but I still found this very remarkable. They said the dog’s owner bought him for his son’s fourth birthday. From that son’s perspective, could you imagine basically having the same pet since the time you can remember all the way up through your mid-thirties? I must admit, I don’t necessarily think the dog looks 30. I guess I would expect a much skinnier, sickly-looking, gruff type canine. Good for him on aging gracefully! I think Maggie looks pretty good for 30. 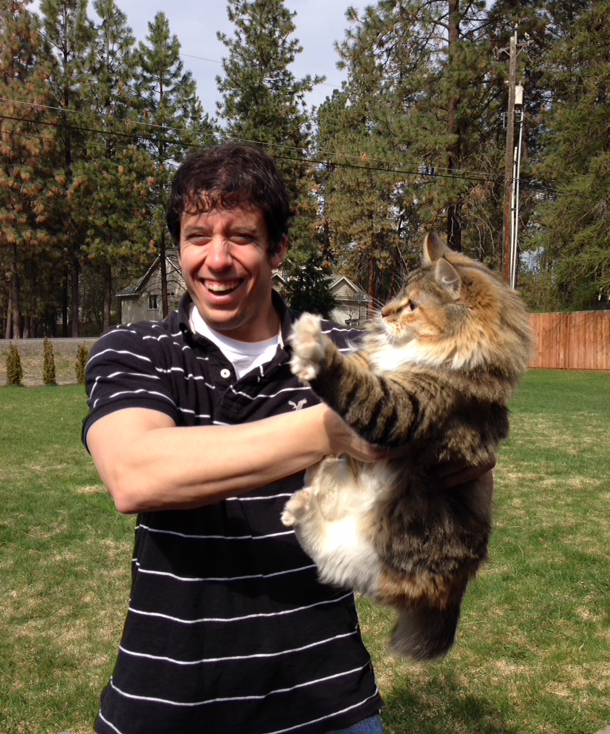 Cat – This is me two years ago this month with my sister’s cat, Kiki. Doesn’t she look like an absolute beast? Don’t worry, she didn’t scratch out my eyes. However, I have to admit, I was a little scared. This was taken two years ago. Talk about one fierce cat! Alligator – When you live in the southeast, you are in gator country. South Carolina has its share of alligators and this spring they are making themselves known. In Myrtle Beach, gators have been surfacing from ponds at our many golf courses to enjoy some sun right off the fairways. This has proven a hit with tourists and, surprisingly, golf course managers don’t really seem to mind. 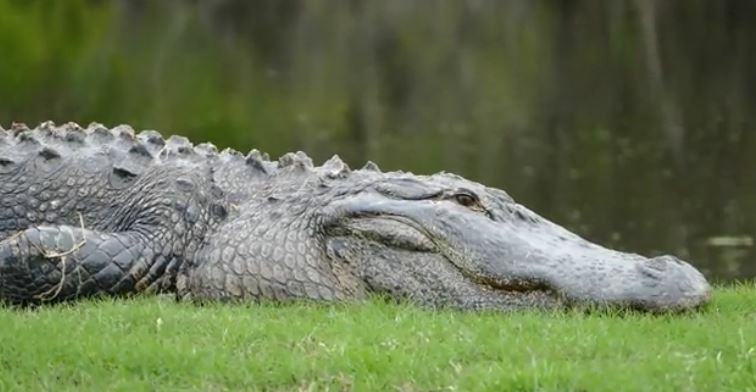 The gators aren’t considered a threat and are free to watch people tee off. I saw a smaller gator in person at Coastal Carolina, but I wouldn’t mind seeing a more menacing one. This is a photo of an alligator at the Witch Club Golf Course in Myrtle Beach (photo courtesy of the Sun News). Raccoon – They are all over the country, but raccoons seem to be especially abundant here in the South, especially this time of year. Over the past couple weeks during the evening, without fail, I have witnessed them scurry from the entrance of my apartment complex to a wooded area across the street. They aren’t just hanging out where I live though. Last week on the way to work I counted six dead raccoons on the side of the road during my commute. Someone needs to tell them to look both ways! Frog – I don’t have anything better, so here is a photo of a frog that was hanging out close to where my car was parked. In a warm climate such as South Carolina, amphibians thrive. 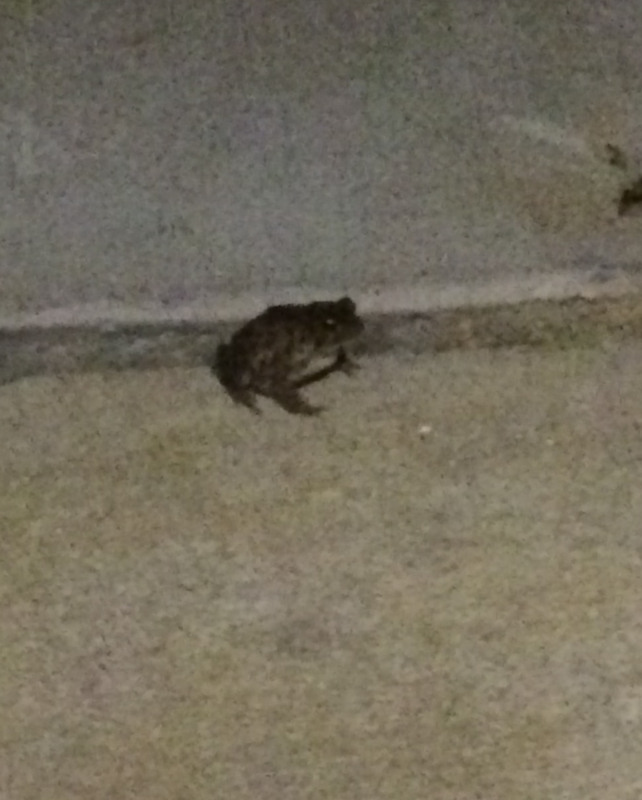 Super grainy photo I know, but this frog was right by my car on the sidewalk on Monday night. In another life I definitely wasn’t Jack Hannah but I hope you enjoyed my brief look at Brent’s Interactions with Wild Life. I will catch up with you tomorrow night for the Thursday Rundown. Don’t Blink. In the paper yesterday, I read an interesting article titled “Six Ways to Save Money at Wal-Mart.” I enjoyed skimming through the tips as the columnist offered these six pieces of advice: Take advantage of Wal-Mart’s price matching policy, get online prices in the store, use the savings catcher app, get free shipping online, comb through the clearance racks, shop early in the morning for grocery deals. Believe it or not, I have my own methods for saving money at Wal-Mart. So, if my readers don’t mind, I would like to offer up my personal six ways for conserving cash at Wally World. Discounted Baked Goods – In the bakery section, most Wal-Marts have a tall skinny shelf on wheels stocked with items a day or two old. Instead of placing a sticker on these items that reads something like “discounted for fast sale,” Wal-Mart uses the euphemism of “we baked too much.” Regardless of what the sticker says, rolls that happen to be 36 hours old still taste good to me. I have no problem bypassing the already low priced bakery items for the ridiculously low priced bakery items on the reduced priced shelf. Buying four jumbo muffins for $1.49 is a steal even if they aren’t hot out of the oven. Use the ATM – Wal-Mart is the only place I have been to that comes equipped with ATMs that give out dollar bills. That’s right, you can collect SINGLES when withdrawing cash. Instead of taking out $20, you can take out $5 or $8. You are going to spend the money you have in your pocket so if you can limit that amount from the onset you are going to be in good shape. Before Going to the Movie Theater… – We have all seen the big bins full of candy that store personnel put out just feet from the entrance to checkout stands. Priced usually at just $1, it is not like this candy is poor quality. In fact, it is exactly what the movie theater sells. Sold in boxes just like at the cinema, you can get Junior Mints, Cookie Dough Bites, Milk Duds, M&Ms and more. For a quarter of the price you would pay at the movies, it makes sense to make a stop at Wal-Mart before heading over to watch your feature presentation. If you really want to save on your way out of Wal-Mart, purchase a can of soda from one of the many machines to go with your candy. Not only will you pay just a couple quarters, you will also get a drink that is super cold. Remember, soft drinks at theaters cost even more than the candy. Buy Generic – I have absolutely no problem buying generic at Wal-Mart. The Great Value brand is legitimate and trusted, not some sketchy dollar store knockoff. I buy Great Value milk, cheese, chex mix, peanuts, and more without hesitation. The savings are great and the taste is the same. Head Wear – Probably 75% of the hats I own come from Wal-Mart. They usually offer insane prices per hat ranging from $5 to $10. Best of all, the caps at Wal-Mart seem to fit my head much better than ones I would buy at Lids or Champs. All of my Chanticleer hats that I wear were purchased from Wal-Mart. They also offer hats marked with various fun brands such as Dr. Pepper (I own one). When I am in the market for a new hat, I can save $20 and feel comfortable by shopping at Wal-Mart. Holiday Gifts – Now I am not saying purchase all your gifts for your loved ones at Wal-Mart. Rather, I am saying purchase the gifts you are contributing towards gift exchanges and Secret Santa swaps there. Wal-Mart puts together classy enough looking holiday packages such as hot sauce assortments, meat & cheese trays, hot chocolate kits, and pancake/muffin mixes. They look nice from the outside, seem fun, and are cheap. Everyone is looking to save a few bucks during the holidays and you can go easy on the wallet prior to your Christmas office party by shopping at Wal-Mart. If Wal-Mart wasn’t cheap enough already, all you have to do is look a little deeper to discover additional savings. What money saving methods do you utilize at Wal-Mart? Please let me know! Don’t Blink. Everyone knows I am a big “Bar Rescue” fan. I watch the show like a maniac and I even planned a tour that took me to bars that were rescued by Jon Taffer. But I am not an idiot. I know the show is scripted worse than professional wrestling. However, I could never get anyone who was on the show to confirm it to me until now. Recently I came in contact with Maria Bedient, a real life person who was featured prominently on the fifth season of “Bar Rescue.” However, don’t think the word “prominently” translates to accurately or glowingly. Her episode, titled “Emergency Exit,” portrayed Maria as an entitled, spoiled distraction who was sucking the life out of a bar called Murphy’s Law in Reno. 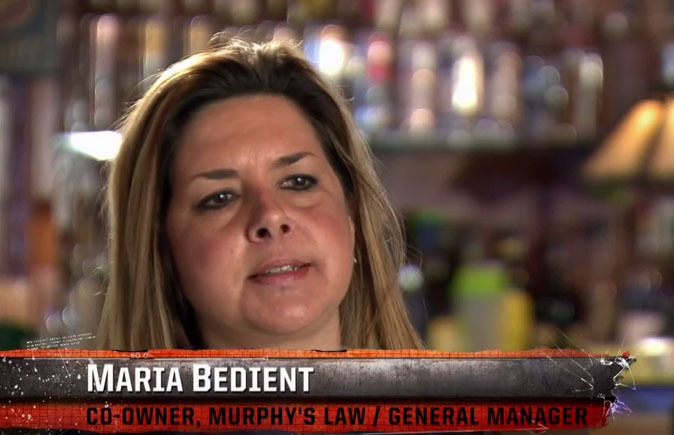 The show explained that Maria owned 40% of the bar while her ex-boyfriend also owned 40%. A third partner owned 20%. After an opening scene outside the bar where Taffer is very critical of Maria, he later convinces her ex-boyfriend (Gary) to fire her. The episode is your typical “Bar Rescue” story line: The bar is initially depicted as a business in complete disarray. The stress test is a disaster. The staff eventually comes together. The re-model is out of this world. The grand opening is a success. The credits explain that after a short period of time, the sales of Money Bar (the new name of Murphy’s Law) went up 20%. But not so fast. Like I said, it doesn’t take a reality TV guru to know that “Bar Rescue” is produced to attract viewers, not to tell the truth. Maria couldn’t have made this more clear. How about we just start from the top? 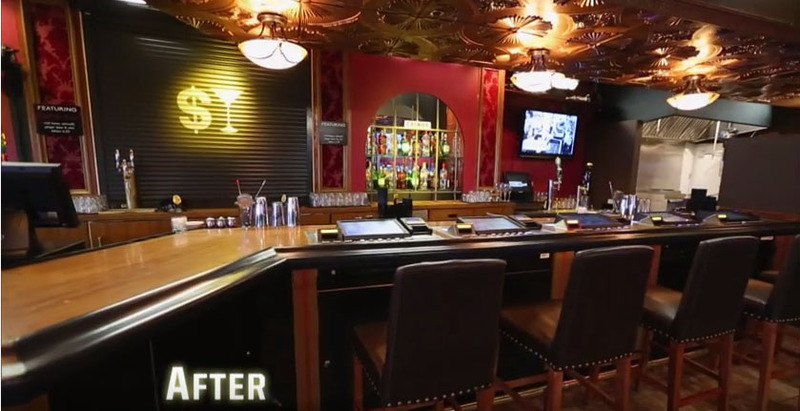 The opening of every show exclaims that the featured bar is ready to “pull open the doors, bust out the books, and make a call to ‘Bar Rescue’ for help.” While Murphy’s Law did end up pulling open the doors and busting out the books, it never made a call to the show. Believe it or not, “Bar Rescue” contacted various Reno area bars to gauge interest in appearing in an episode. The show dialed up Murphy’s Law and Maria says it was the worst decision they ever made to accept their offer to “rescue” the bar. The original call from “Bar Rescue” came in late September of 2014. All filming was complete by March 15, 2015. Once the show converged on Maria’s bar, it didn’t take long to realize that there was an agenda at play. Maria doesn’t dispute that the bar had issues. But what she does vehemently deny is the type/cause of issues “Bar Rescue” portrayed the bar to have. You just have to watch the first minute of the “Emergency Exit” episode to see the writing on the wall. Maria is immediately labeled as a “puppet master” and all the editing and sound bites of her from that point on paint a portrait of a toxic individual who is set on destroying a business. More on what this portrayal of Maria did to her later. At the start of the show, there is an epic meltdown by the owner who controlled a minority stake in the bar, Nellie. While the cameras rolled, Nellie decides to walk off his bar shift while hurling expletives and flashing obscene gestures at Gary. 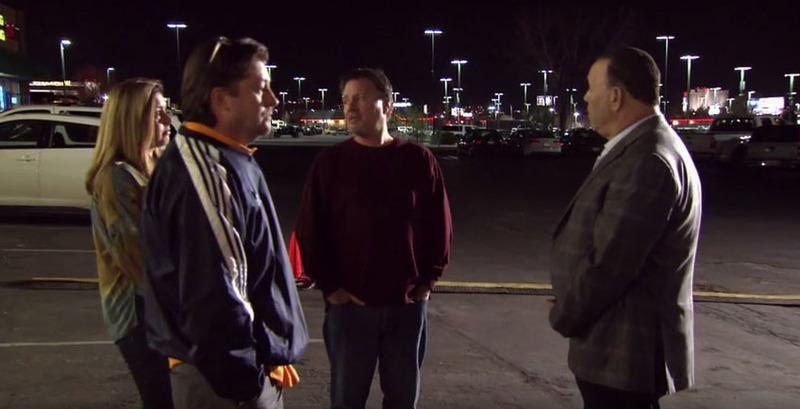 The two men and Maria happen to take their disagreement out into the parking lot right at the same time that Jon Taffer exits his recon vehicle. A major confrontation takes place. The whole scene seemed, to put it nicely, less than spontaneous. This would be the theme throughout the entire filming. A major part in the “Emergency Exit” episode of Bar Rescue is when Jon Taffer and the three owners meet outside Murphy’s Law for a frank discussion. Maria explained to me that the main producer talked to all Murphy’s Law employees who appeared on the show separately. Roles were developed and certain behaviors encouraged. As for the smaller things that occur on a reality show to make telling a preconceived story easier, all employees were required to wear the same clothes throughout the filming. Also, just like what Bryden Vukasin told me about “The Bachelorrete,” show producers had the Murphy’s Law staff perform certain tasks/scenes over and over. Some of the manipulation was more damaging. The couple sent in as part of Taffer’s surveillance operation definitely wasn’t going inside to offer impartiality. Encouraged to showcase Murphy’s Law as an incompetent hellhole, they did just that. Interestingly enough, the couple, Kevin and Brittany, eventually apologized to Gary and Maria for purposely making their business look bad. Of course, how can you blame them? The show told them to do something so how do you say no? Anyway, this individual story ends well as now Kevin and Brittany are regular Murphy’s Law patrons and friends with Gary and Maria. Another tough part of the “Bar Rescue” experience for Murphy’s Law was that the hands of the owners were tied. In the show there is an infamous part where Maria is sitting at the bar gambling and hanging out. A clock appears on the screen that shows the length of her inactivity. The truth is, she couldn’t do anything else. The show specifically told her to not help out with any bar operations, a tough task for someone who is used to significantly assisting. This is a theme you see throughout all the “Bar Rescue” episodes so maybe now you won’t think that all those owners are actually that lazy. This is the scene where a clock is put on the screen to show the inactivity of Maria. It showed her sitting there for three hours. Maria credits the “Bar Rescue” personnel for being nice and helpful up front, but it soon became hard to accept it as genuine. As the filming went on and on, the hidden agenda of the producers started to become more visible. This wasn’t the story of Murphy’s Law, it was the story of a generic “Bar Rescue” plot line that used a bar in Reno to help tell it. But Murphy’s Law did go along with it. The employees played their parts, took their lumps, and put on their smiles after the bar was remodeled and renamed. Although I actually thought the 1930s old school style gambling hall makeover was pretty cool, Maria informed me that the staff, and, probably more importantly, the customers, didn’t. A look at what Murphy’s Law looked like after it was converted to Money Bar. 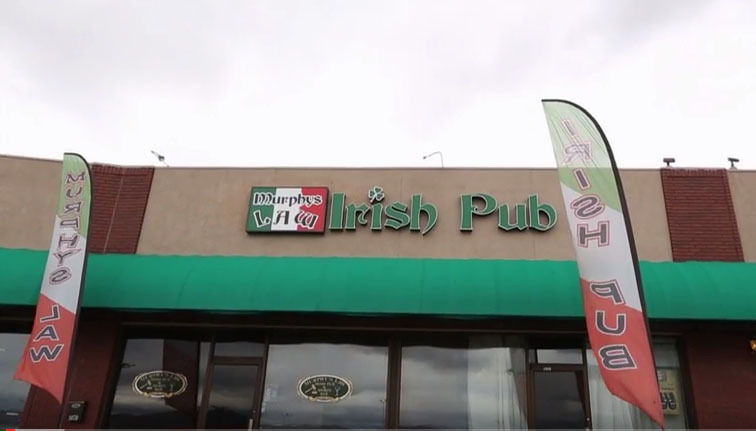 Before the episode even premiered, Gary had changed back the name from Money Bar to Murphy’s Law. Everything else wasn’t as easy to reverse, however. Maria tells me business has suffered dramatically since the rescue. She says the place lost thousands of dollars worth of equipment and personal belongings. The 20% increase in business that “Bar Rescue” reported as the credits rolled? Absolute hogwash, claims Maria. Not only is that number inaccurate, but “Bar Rescue” never even followed up in the first place. Losing business is one thing; losing your sense of self is another. Believe it or not, after the show aired Maria received hate mail from viewers unable to decipher the truth about reality television. She was the subject of social media venom from trolls who would watch the show and then sound off using their keyboards and smart devices. It took a year before Maria could even talk about the experience. She doesn’t hide the fact that it has been a very tough road since the “Bar Rescue” experience started. With that said, it says a lot about Maria that she can still see the silver lining in this whole saga. 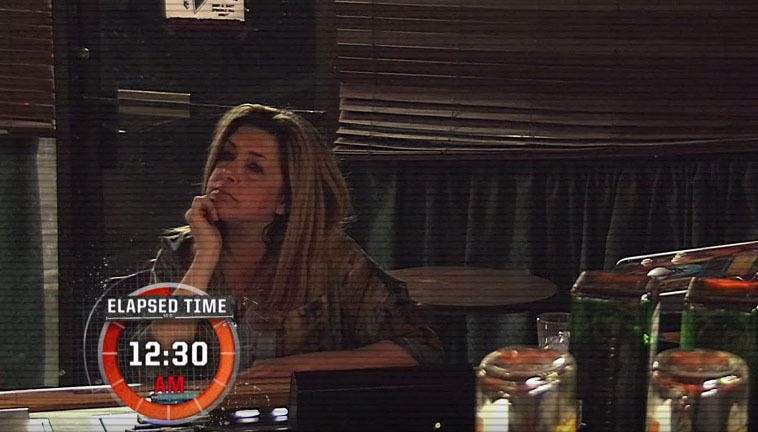 After Gary pleaded for Maria to return to the bar, thereby turning his back on the advice Taffer gave him, she has experienced the small positive fruits of the “Bar Rescue” exposure. Fans of the show frequently drop in at Murphy’s Law solely because they saw it on TV. While this group can never replace the scores of regular customers the business has lost, it does provide Maria the chance to meet new people and set the record straight. I am well aware that people have either enjoyed or suffered through different “Bar Rescue” experiences. I have in fact talked to both sides. In the future, I look to talk to more. However, there is one major theme that is very important to remember. The word “reality” in front of TV is not synonymous with the words “truthful” or “accurate.” We need to keep this in mind when watching our favorite shows and give the benefit of the doubt to any cast members who might come across as disagreeable. Don’t Blink.